James Moreau Brown was born in New York in 1821, the youngest of 16 children. Always looking for adventure, he ran away from home for the first time at age twelve. At fourteen, he left again to drive canal boats. His parents found and apprenticed him to a brick mason where he learned valuable skills for the future. He traveled to Galveston around 1843 and opened a hardware store with partner Henry Brower on Market Street between 26th and 27th. The partnership lasted only a year before Brown took full ownership including the businesses three slaves. Two of them, Harriet and Sophia, remained lifelong servants of the Brown family after emancipation. In 1855, Brown started another hardware store on Strand between 21st and 22nd with a new partner and purchased a 30 year old slave named Alek, a trained brick mason. The success of the store opened other doors into the Texas business world for Brown, making him the fifth richest man in Texas by 1870. 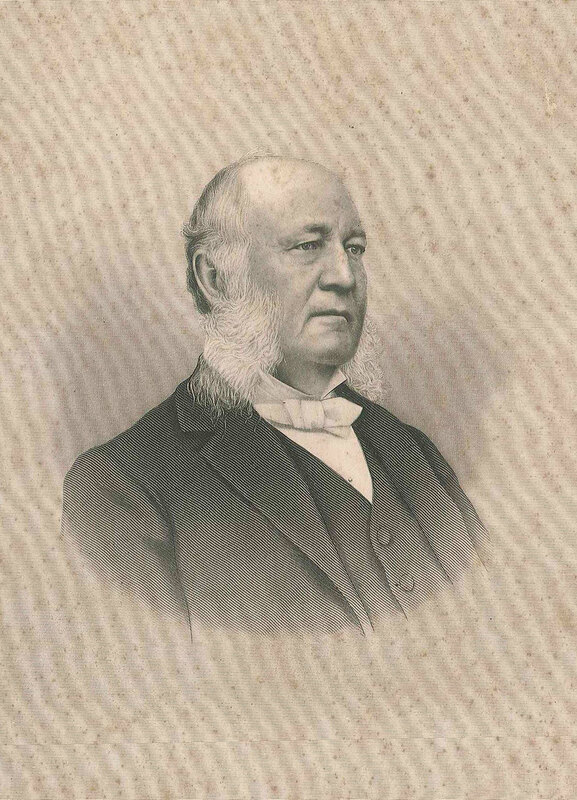 When he died, Brown had served as president of a railroad, a wharf company, a bank and two insurance companies in addition to owning his thriving store. Brown married sixteen year old Rebecca Ashton Stoddart on April 9, 1848 at Trinity Episcopal Church. They lived in a frame house on Market Street where their store was and had the first of their five children. Before the Civil War, the family built a brick house called Ashton Villa, the first mansion on Broadway. In 1894, Mr. Brown was diagnosed with cancer. He died early Christmas morning, in 1895 at the age of 74.